Roger E. Barton is the Managing Partner of Barton LLP. He applies his management expertise and almost 30 years of experience to leading a firm that is dedicated to providing its clients with quality and results through a practical and business-minded approach. 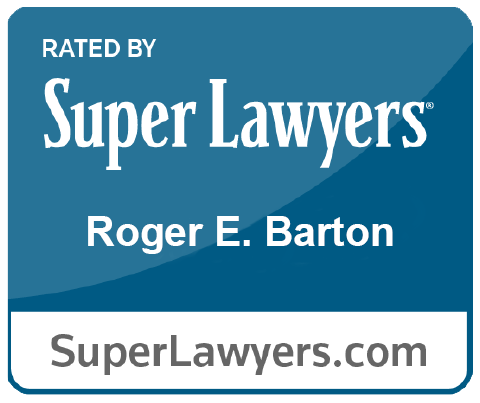 Roger is an accomplished litigator with an international reputation for achieving outstanding results for his clients. He has been rated by The American Lawyer, Corporate Counsel Magazine and the National Law Journal as one of the Top Commercial Litigators in the United States and has an “AV Preeminent” peer review rating in Martindale, the highest rating in the legal profession for professional excellence and ethical standards. He is a Fellow of the Litigation Counsel of America, the invitation-only trial lawyer honorary society limited to less than one-half of one percent of lawyers in America. He has also consistently been selected as a Super Lawyer in Thompson Reuters’ annual survey of the top 5% of lawyers in the New York Metro Area, 2013 to present. Roger has tried numerous bench and jury cases to conclusion in the U.S. Federal District Courts, U.S. Tax Court and in state courts across the county. He has argued Federal appeals in the Second and Third Circuits and at the state level. He is also an experienced practitioner in the various forms of ADR including mediation and arbitration both domestically and internationally as well as the enforcement and appeal of international arbitration awards. Roger’s clients range from large corporate and financial institutions to privately held businesses and senior executives. He routinely litigates cases involving failed financial transactions, breach of contract, fraud, shareholder and partner disputes, investor actions, broker-dealer and FINRA matters, employment, including non-compete and non-solicit actions, and senior executive compensation. Roger combines his substantive expertise as a litigator with his practical business skills. He views each case as an opportunity to partner with his client in early case assessments, analyzing business goals and developing strategy and budgeting to achieve a disposition consistent with the desired business result. He is frequently asked to lead seminars across the country for in-house counsel audiences on the topic of managing litigation as a business. In conjunction with the Firm’s corporate attorneys, Roger counsels domestic and foreign financial institutions, emerging growth companies, foreign startups, hedge funds, private equity funds, venture capital funds and privately held corporations in connection with corporate governance, mergers, acquisitions, corporate finance, restructurings, joint ventures and international alliances. Prior to Barton, Roger was with Sidley Austin in New York. “Common Law and Civil Law Perspective of the UNDROIT Principles.” CEAC International Arbitration Conference. Hamburg, Germany. (September 14, 2018). “Collateralization of Foreign Assets and Enforcement of Foreign Judgments.” 2018 Primerus International Convocation. Miami, Florida. (May 5, 2018). “Managing Cross Border Legal Matters.” Association of Corporate Counsel Europe. London, England. (January 24, 2018). “Technology Trends in the U.S.” Keynote Address, SEED Forum. New York, New York. (November 28, 2017). “Leading Change: General Counsel-Led Collaboration Between Law Firms and Legal Departments.” The 2nd Annual Corporate Counsel Leadership Forum – Thomson Reuters Legal Executive Institute, New York, NY. (November 16, 2016). “Roundtable Discussion on the Impact of Brexit.” 2016 Primerus Global Conference, Washington, D.C. (October 13, 2016). “Entrepreneurial Law Firms: How Do They Add Value With Innovation.” Law Without Walls, University of Miami. Webinar. (March 23, 2016). “Aligning the Values and Costs of Litigation Services,” Managing Litigation as a Business, Houston, TX, (February 18, 2015). “Enforcement Strategies in Intellectual Property Litigation,” Managing Litigation as a Business, Phoenix, AZ, (January 22, 2015). “Alternative Dispute Resolution: What You Need to Know in 2015,” The Knowledge Group, Webinar, (January 21, 2015). Controlling The Costs of Conducting Intellectual Property Litigation, Association of Corporate Counsel (ACC) New York, NY. “Law Firm Management.” New York State Bar Association. Webinar. “Data Management as a Compliance Obligation Technology in the Boardroom.” Hudson Valley Bank. New York, NY. Electronic Data Discovery.” Parsons Brinkerhoff. New York, NY. “Management of Litigation and Litigation Technology.” Association of Corporate Counsel (ACC) Community Forum. New York, NY. “Effective Management of the Professional Services Firm.” British American Business, Inc. New York, NY. “Financial Fraud: Litigation and Prevention, Strategic Research Institute.” 6th Annual Banking and Fraud Conference. Washington, DC. “Partnering Technology in Litigation.” LegalTech. New York, NY. 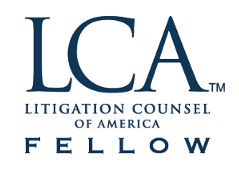 “Litigation Management For Small Law Departments.” WESFACCA. Greenwich, Connecticut. “Partnering For Profit: Cost Avoidance Through Effective Staffing and Risk Management.” 5th Annual LawPartnering Forum. Ponte Vedra Beach, Florida. “Partnering Technology in Litigation.” 4th Annual LawPartnering Forum. Long Branch New Jersey. “Establishing Your Business in the United States: Choosing the Proper Entity and Overcoming Legal and Business Challenges” presentation delivered to: New York City Economic Development Corporation, Northern Italian Textile Association, UK Ministry of International Trade, Australian Consulate, Polish Consulate, Hungarian Consulate, and NEXCO (National Association of Export Companies). “Square pegs, round holes: Does the traditional law firm business model fit the needs of clients, or even most lawyers, anymore?” Thomson Reuters’ Westlaw Journal. (June 2017). “Litigation Management: Strategies for Aligning Cost with Value.” Primerus Paradigm Magazine. (Spring 2017). Quoted in “6 Lessons BigLaw Can Learn From Boutiques.” Law360. (May 13, 2016). Quoted in “US Law Firms Eye Brexit Windfall As Uncertainty Swirls.” Law360. (May 3, 2016). “A Perfect Fit: New Frontiers of Due Diligence in Strategic Acquisitions.” Directors Monthly, a publication of the National Association of Corporate Directors. (April 2006). Co-Author “Partnering in the New Legal Environment.” Metropolitan Corporate Counsel. (June 2005). “Directorship Issues in Insolvent Technology Companies: Alternatives to Maximize the Value of Assets for Creditors.” Directorship. (April 2002). “Venture Capitalists as Directors: Avoiding Increased Liability from Serving on the Board of an Insolvent Company.” Securities Litigation & Regulation Reporter. (March 27, 2002). “Private Rights of Action Under the Annunzio-Wylie Act: Can Banks Be Held Liable For Failing To File Suspicious Activity Reports?” Bank & Lender Liability Litigation Reporter. (February 7, 2002). “Material Adverse Change Clauses in the Wake of the Sept. 11 Tragedy.” Mergers & Acquisitions Litigation Reporter. (February 2002). “Venture Capitalists As Directors: Challenges of Serving on the Board of an Insolvent Company.” Directorship. (October 2001).